Have you just about given up on tile and grout cleaning? With they are first laid, tiled floors and surfaces always look great. However, over time your floors can become grimy. Cleaning the tile and grout yourself can become a nightmare. No one will ever voluntarily choose to spend hours of their time scrubbing at stains and discolorations that won’t disappear easily. Doing it yourself can take hours of back-breaking work. If you are in need of a Houston tile and grout cleaning restoration service and just don’t have the time to do it yourself, the best choice is to hire Modern Stone Care. We are professional tile and grout cleaning restoration company in Houston, that will take care of the cleaning for you. You’ll be saving valuable time and free yourself from the stress and hassle of having to clean the tile and grout floors. We are a tile and grout cleaning company in Houston that would be glad to show you examples of our previous work, or examples of what we can do. At Modern Stone Care we back up our work with excellent customer reviews. We always appreciate positive customer feedback, it is very important to our company reputation; it validates our tile and grout cleaning services when previous customers are pleased with the work done by us. Our tile and grout cleaning Houston technicians are skilled and experienced, we will have one look at your tile and grout and will know exactly how to get the results you are expecting. Our goal is always to get the best results the first time around. If you are looking for an established, professional, and dependable cleaning service that has experience in getting tile and grout floors truly gleaming, contact Modern Stone Care. We are one of the best tile and grout cleaning Houston companies with fully licensed and insured technicians, to take care of any issues you experienced with your floors. There is not a problem that Modern Stone care has not come across in all our years of experience. 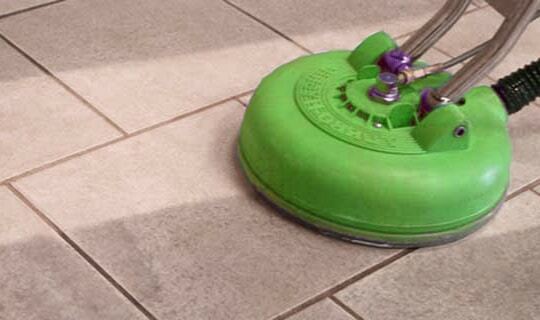 We use the latest in flooring technology in tile and grout restoration to be absolutely clean. You can be confident we will get the best results. This is why previous customers have labeled us the best tile and grout cleaning company in Houston.